Why didn’t anyone ask Colin the dog if it was all right to bring Gloria the cat home? 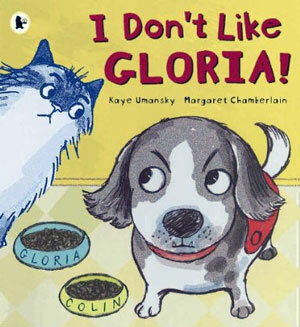 Now Colin has to live with Gloria – and to make matters worse, she eats from his bowl, sleeps in his basket and gets all the attention. Colin will never like Gloria, and will never share anything with her… or will he? 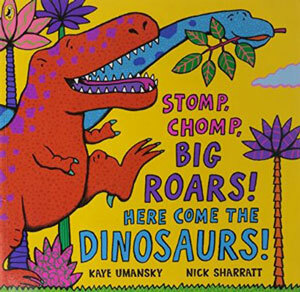 Roaringly noisy rhymes all about dinosaur games, dinosaur roars and more. 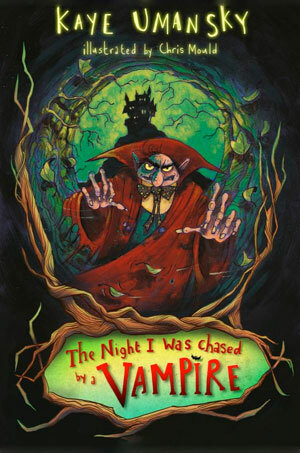 Illustrated by award winning Nick Sharratt. And sail the salty sea! 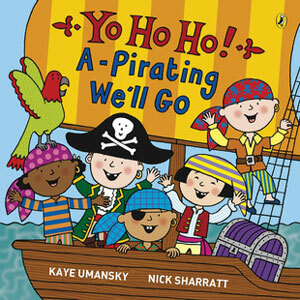 Sail away with five little pirates in search of treasure and adventure… before coming safely home for tea! Illustrated by award winning Nick Sharratt. 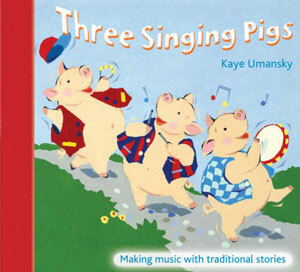 A collection of children’s favourite stories packed with ideas for making music. 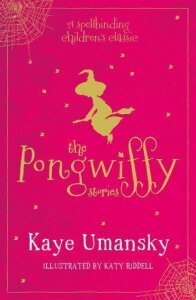 These familiar stories are intertwined with songs to sing, parts for percussion, raps to clap and ideas for composition. Through them children learn to use and understand the elements of music. A children’s party is a fine place for masses of mayhem and madness. 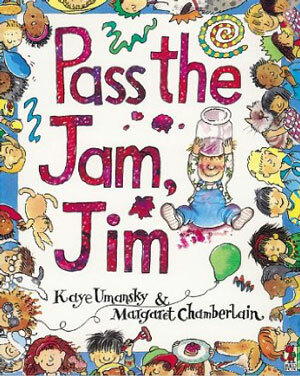 And no one has time to keep an eye on Jim, a toddler whose sticky antics add to the muddle. If you love telling jokes to your friends and family, here are sixty jokes just of you. 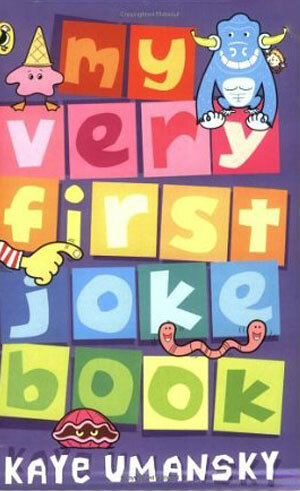 They are easy to read and easy to remember, with really funny pictures to keep you giggling. 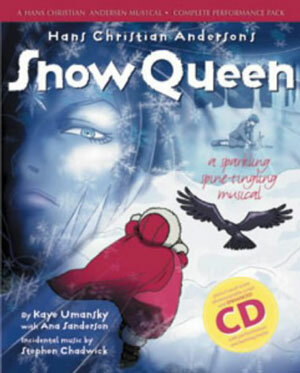 Kaye is swept into the Snow Queen’s icy sleigh and stolen away ot her frozen palace. 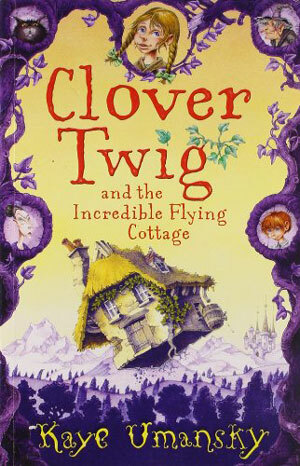 Gerda, his best friend, sets out on a brave journey to rescue him. Book –photocopyable script with performance licence; staging suggestions and costume ideas; no-fuss application for performance licence. A tale of Lincoln Green tights, girl power and a boy band hero. 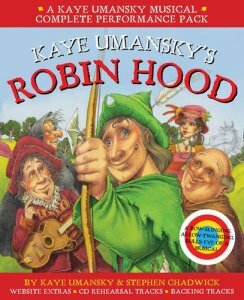 Book – photocopiable script with performance licence, staging suggestions and costume ideas; no-fuss application for performance licence. CD/enhanced CD – with performances of all songs; backing track for all songs; music to accompany dance and dramatic action. Complete with files of piano vocal score, acting games for developing confident performances, composition activities and dance suggestions. Ghosts haunt an abandoned fairground, while hungry trolls hide in the shadows. An empty suit of armour isn’t quite as empty as you thought, and vampires lie in wait in crumbling castles.